Home » Fitness • Local » WOW: Girls Go Skating! 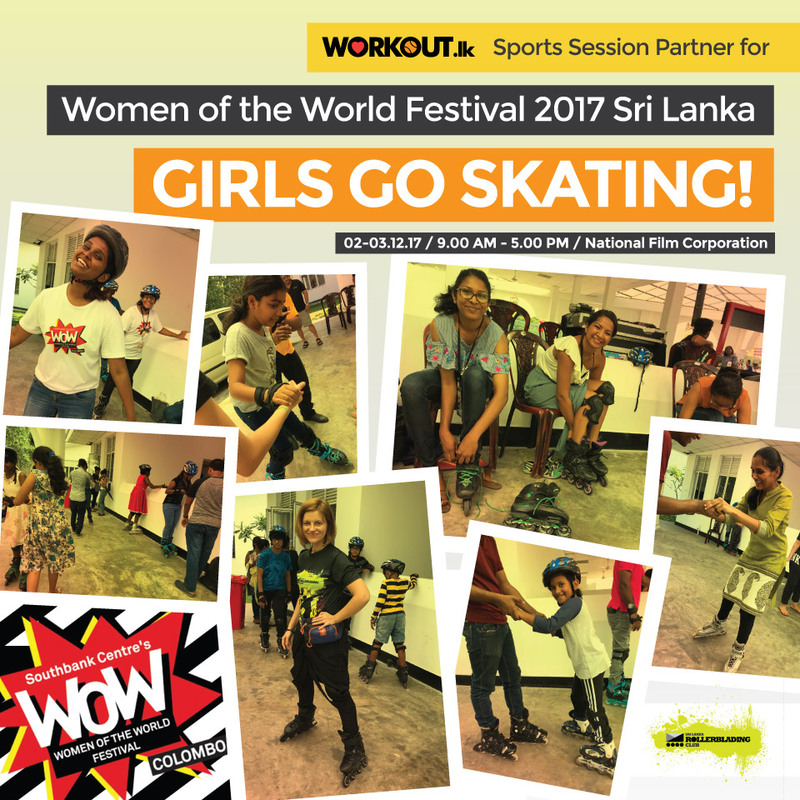 Workout.lk and Sri Lanka Rollerblading Club was invited to conduct an inline skating session at Women of the World (WOW) Festival. We got the opportunity to empower girls of all ages and from all corners of the island to try out the activity for the very first time, to challenge preconceptions, and to get over the fear of falling and failing. We thank the organizers of WOW for this valuable opportunity!